We’d love your help. 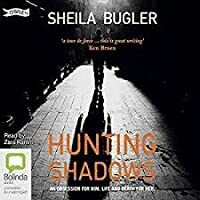 Let us know what’s wrong with this preview of Hunting Shadows by Sheila Bugler. DI Ellen Kelly is at the top of her game - at least she was, until she took the law into her own hands and confronted her husband's killer. Now she's back at work, leading the investigation into the missing child. Her superiors are watching her; the distraught family is depending on her. To ask other readers questions about Hunting Shadows, please sign up. Thank you to the author and publisher for the review copy – much appreciated as it had been on my wishlist for a while. DI Ellen Kelly is at the top of her game – at least she was, until she took the law into her own hands and confronted her husband’s killer. Now she’s back at work, leading the investigation into the missing child. Her superiors are watching her; the distraught family is depending on her. Ellen has a lot to prove. And she knows it. Lets start with DI Ellen Kelly. She is traumatised, flawed, yet effective and independant – she gets up your nose then touches your heart pretty much as she does in the story to the people around her. Add in a boss that has seemingly lost the plot, an ongoing dispute with the family Liaison officer and a family that is keeping secrets and you have all the elements of a top notch read. My favourite part of this book was the antagonism between Ellen and FLO Abby. Despite their differences, despite the clashing of opinion, the arguments, the absolute confidence each of them has that they are right you sense almost immediately that there is a friendship and mutual respect there that is just waiting to happen…if only they could get over themselves. Wonderful – rather than the cliche of a possible love interest (will they won’t they get together) you get the intrigue of a…well, will they won’t they become friends. Perfect. Loved it. All in all a terrific crime and mystery novel and I can hardly wait to see what is next for DI Kelly. And the rest of them..
On her way to school, Jodie disappeared. One minute she was there, fighting with her dad, the next she was gone. The father quickly becomes the main suspect and his previous spell in prison is not helping. DI Ellen Kelly has her doubts though. She sees a similarity to another missing child case. One that had an unhappy ending. Could the same person have snatched Jodie? Fighting her way through office 4.5 stars. This debut, from Irish writer Sheila Bugler, is the first in her DI Ellen Kelly series. The novel is set in London, where Ellen is struggling to get back to normal after a recent tragedy. A mother of two, she balances home/work like most women these days, but her back story makes for a deeper character than the norm. Placed for adoption, along with her brother, as a very young girl, she re-visits the past in order to regain her momentum in the present. The author makes her a more likable and realistic mother, as well as Detective Inspector, because of this. The reader can see her hard exterior shell, but know that she battles inner demons everyday. The story of Jodie is told from many different angles; from the child's eye, the snatcher's, the DI's and Jodie's family. This makes the reader have sympathies for a variety of characters and none more so than the father of the previous missing child. A shadow of his former self, he is a man who aches for justice and revenge. The horrors that are described in this novel are not for the faint hearted. Child abduction is always difficult to read about, even in fiction, but the clever writing, and great characters, make those dark moments part if the bigger picture. The only (very slight) issue for me, was the repetition of the abductors voice. But, I can see how this may have been more about emphasising his mental status than anything. Anyone who loves a good crime thriller will be hooked, from the opening chapter, and will be dying to get their hands on the next installment, 'The Waiting Game' , which is available now. For fans of Louise Phillips, Tess Gerritson and Sophie Hannah. Loved the ending as it threw a spanner in the works and made me rethink what happened earlier in the book. An interesting detective series with a strong female lead. I will definitely read on in this series. Knowing my love/hate relationship with female police characters, and the intrinsic baggage of cliches that usually surrounds them, I have to say that DI Ellen Kelly, rose above the normal mediocre and la With a nice little tagline from the one and only Ken Bruen on the front cover, and the mouthwatering allure of a new London based police procedural, I could not resist the temptations that this debut crime thriller offered. So did this live up to my expectations? I would say, categorically, yes…. 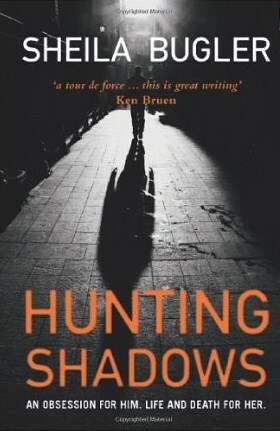 I finished Hunting Shadows a few days ago and it has remained with me, always the mark of a great story. It’s difficult to believe this is a debut novel because the writing is so assured and the plotting faultless. Stories of child abduction, every parent’s greatest fear, are nothing new, but it’s the reasons behind these particular crimes that make the book so original, so disturbing and also very moving. Families of all kinds are at the heart of the story and Ellen Kelly, a police detective wh I finished Hunting Shadows a few days ago and it has remained with me, always the mark of a great story. It’s difficult to believe this is a debut novel because the writing is so assured and the plotting faultless. Stories of child abduction, every parent’s greatest fear, are nothing new, but it’s the reasons behind these particular crimes that make the book so original, so disturbing and also very moving. Families of all kinds are at the heart of the story and Ellen Kelly, a police detective who is also a believable mother and daughter, is an outstanding creation. She’s a widow and I found the back story attached to her husband’s death almost as fascinating as the present day case she’s investigating. Too often the ending of a clever and twisty crime novel proves disappointing. I certainly want to be surprised, but I also need to see that this resolution was inevitable. If, in addition,I'm brought to tears, as I was with Hunting Shadows, then I’m truly satisfied. A superb read that I heartily recommend. The thing that sets this book apart is its reality. A psychological crime novel which left me pondering for days. This could happen. Every element is plausible, every character believable. Hunting Shadows as a title has layers of resonance: this is a story with history. On the surface, a police investigation into a missing child. Under the surface, determination, delusion, optimism, perversion and all the painful mistakes of human interaction. I loved this book for its realism, its roots in South London, its appealing characters with their own baggage, the masterful increases in tension and the moments when I just wanted to put the book down and cry. Deft, clever, startling and delivers all the impact of an electric shock. Nothing graphic or overt, but sinister as hell. DI Ellen Kelly is on my map and I want more. This book isn't something I would normally read so when I started it I found the subject quite tough. However once I got into the story I found myself caught up in it with real characters responding in many varied and shocking ways. As the story moves along it became a page turner and I couldn't wait to get to the end. A cracking read. A wonderful book by a talented author. I love crime fiction and have read hundreds of crime novels in my life. I can honestly say I find it hard to believe this novel is a debut - as it's written with a confidence and maturity that belies years of practise and experience - or a God-given gift. It opens with a child's abduction, sensitively handled, and cleverly seen from the viewpoint of both the abductor and abductee. Handling a variety of characters, POVs and voices is no mean feat for a write A wonderful book by a talented author. I love crime fiction and have read hundreds of crime novels in my life. I can honestly say I find it hard to believe this novel is a debut - as it's written with a confidence and maturity that belies years of practise and experience - or a God-given gift. It opens with a child's abduction, sensitively handled, and cleverly seen from the viewpoint of both the abductor and abductee. Handling a variety of characters, POVs and voices is no mean feat for a writer, but soon I found I hardly noticed the writing - and that is meant as a compliment. When the change in style from six-year-old girl to a mentally disturbed young man passes without a single question about the authenticity of voice or believability of character - then you know you're in safe hands. The victim's family, in particular the grieving step-father, are described in such detailed accuracy, that we can not help but feel their pain and sympathise with the injustice meted out by an unsympathetic Met police whose priority has to be the missing child. I loved how the complex themes of loss, revenge and forgiveness were woven expertly into the narrative and added real depth to the story. Hunting Shadows is the first book in a series, and here we are introduced to DI Ellen Kelly, recently back in the force following the death of her husband and a painful history of recrimination. Ellen is a complex, well-rounded and instantly likeable character whom the author handles with skill. Ellen's Irish roots shine through (no doubt aided by the author's own Irish background) and it's not long into the book before her whole family and history feel as at home to us as our own. The plot and pace is handled superbly, clever twists and turns lead us one way and then the next, resulting in a terrifying page-turning conclusion that left me gripped. A copy was provided by Brandon publishing in return for an honest review. Hunting Shadows is a different breed of crime thriller. Life doesn't begin at the start of this novel. The reader is thrown into turmoil. Ellen has had a hard childhood, her husband is dead and she is only now returning to work after suffering from a breakdown. The story itself is not original (disturbed child kidnapper) but the appeal here lies in the authenticity of the characters. Ellen is gritty. A killer obsessed with her work, sometimes to a fault. Baxter, her boss is determined that he be the one to find Jodie and will lay the blame at any doorstep he sees fit. The Story is skilfully paced and drags the reader along for the ride. More than once I thought I had the story figured out, only to be drip fed fragments of information that proved me wrong. As the narrative accelerates to heart wrenching finish I was left hungry for more. Fans of Karin Slaughter will love the gritty realism and imperfection that is sometimes lacking in her novels. Detective Jack Taylor...you may step down now. This is a thrilling début. I predict a bright future for Sheila Bugler and Detective Ellen Kelly. I thoroughly enjoyed this book. Ellen, the lead character, is likeable and gutsy. The story is fast paced and keeps you wanting to read on. I found it very hard to put it down each time! I recommend it to all and I can't wait for the next installment. Couldn't put it down, every day I wanted to find out what happened to Ellen and the other characters. Looking forward to the next book! A well paced novel - fabulous narrator who portrayed the characters impressively. Plot was well constructed and one of the more realistic police novels I've read. I did feel the end was a little rushed but a satisfying read. it was ok. I found it a bit slow moving. And the end with the train was a bit bizare. Ein Kind wird entführt. Mitten in London. Und niemand hat etwas gesehen. Es gibt keine Verdächtigen, keine Anrufe, keine Spur - nur die Gewissheit, dass die Zeit für die 10-jährige Jodie Hudson langsam abläuft, denn ihr Fall ähnelt dem der kleinen Molly York, die drei Jahre zuvor auf ähnliche Weise entführt - und ermordet - wurde. Detective Inspector Ellen Kelly wird auf den Fall angesetzt. Obwohl sie noch immer den Tod ihres Ehemannes nicht ganz verkraftet hat stürzt sie sich in den Fall - denn Ein Kind wird entführt. Mitten in London. Und niemand hat etwas gesehen. Es gibt keine Verdächtigen, keine Anrufe, keine Spur - nur die Gewissheit, dass die Zeit für die 10-jährige Jodie Hudson langsam abläuft, denn ihr Fall ähnelt dem der kleinen Molly York, die drei Jahre zuvor auf ähnliche Weise entführt - und ermordet - wurde. Detective Inspector Ellen Kelly wird auf den Fall angesetzt. Obwohl sie noch immer den Tod ihres Ehemannes nicht ganz verkraftet hat stürzt sie sich in den Fall - denn sie will auf jeden Fall verhindern, dass sich das Schicksal der kleinen Molly York wiederholt. Solide. Nicht mehr und nicht weniger. Und das in allen Kategorien. Vom Stil her leicht und flüssig zu lesen, aber auch nicht überragend. Die Charaktere sind weder übermäßig sympathisch noch unsympathisch, bleiben so aber auch nicht lange im Gedächtnis haften. Die Story an sich hat man so oder gerigfügig anders auch schon mal gelesen und die Spannung - die ist eben ganz solide aufgebaut. Es gibt mehrere Verdächtige, die sich ebenso verdächtig verhalten, es gibt den Ansatz einer Lovestory, eine Familienkrise, die Wendung zum Schluss hin - eben alles was in einen soliden Thriller hineingehört. All das macht es aber nur solide und leider nicht überragend. Zudem hatte ich immer wieder das Gefühl, eine Vorgeschichte verpasst zu haben und nicht den ersten Band einer Reihe zu lesen - ist es aber, ich habe mehrmals gegoggelt. Zu oft wurde auf Ereignisse in der Vergangenheit verwiesen, die wichtig für Ellens Gegenwart und die Geschichte an sich sind. I think Patricia Cornwell readers would enjoy this book very much. I gather there is to be another 'Ellen Kelly' book too, and certainly the genre and character lend themselves to that, just like with Patricia Corwell's Scarpetta. Reading HUNTING SHADOWS, it felt like it was a sequel itself (not sure if this is the case?) Certainly, there was a lot of backstory told, and this did feel clunky at times. (As per almost every other book I've read recently - surely this is an editor's job to fix?) Oth I think Patricia Cornwell readers would enjoy this book very much. I gather there is to be another 'Ellen Kelly' book too, and certainly the genre and character lend themselves to that, just like with Patricia Corwell's Scarpetta. Quite simply the best crime thriller I have ever read. I fell in love with D I Ellen Kelly, a very realistic character. Could not put the book down, really an excellent read. I have ordered "Sheila's" second book "The Waiting Game." from Waterstones in Eastbourne today. I would rate this book with 6 stars if I could discover how to do it. 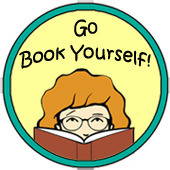 Please Goodreads make this website more user friendly, it is far to complicated. Sheila Bugler has come up with an interesting protagonist in the shape of Ellen Kelly, ordinary mother, but also a detective with a surprising capacity to see justice done, even if it means breaking the rules. This combination makes this crime novel a bit special, and provides a solid backdrop to a good story. I grew up in a small town in the west of Ireland. After studying Psychology at University College Galway, I left Ireland and worked in Italy, Spain, Germany, Holland, Argentina and London before finally settling in Easbourne, where I now live with my husband, Sean, and our two children. When not writing fiction, I provide a range of writing services to aspiring authors. I also run free writing work I grew up in a small town in the west of Ireland. After studying Psychology at University College Galway, I left Ireland and worked in Italy, Spain, Germany, Holland, Argentina and London before finally settling in Easbourne, where I now live with my husband, Sean, and our two children. When not writing fiction, I provide a range of writing services to aspiring authors. I also run free writing workshops on this site. I am a regular contributor to the online writing magazine, Words With Jam.